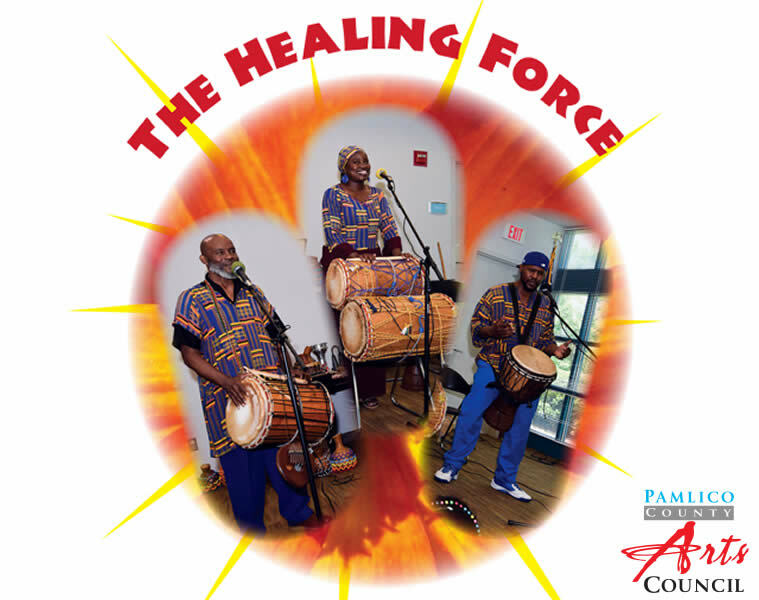 The Healing Force performs Tuesday February 12 7p at Oriental United Methodist Church, presented by the Pamlico County Arts Council. The Healing Force is a family of performers who showcase African Culture through African music played on handmade instruments, drumming, singing and storytelling. You can simply watch and listen, or bring your drum, noisemaker, or pots and spoons from Oriental’s New Year’s Eve Dragon Run and participate in the drumming circle. All are welcome & admission is free. This performance is supported by the North Carolina Arts Council, a division of the Department of Natural and Cultural Resources.